With the arrival of spring weather (finally), the Ephraim Shores staff is opening windows and washing off the residue from a long, hard winter. Every spring brings excitement, and this year even more so as we celebrate 45 years as one of Ephraim’s premier motels. You’ll want to take advantage of two promotions in getting your Door County vacation season off to a good start. 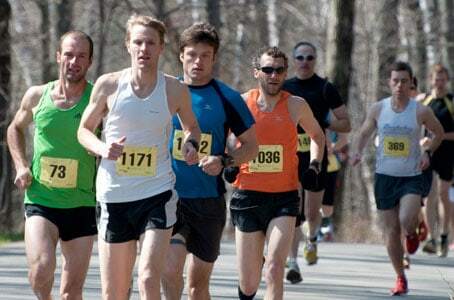 The first involves opening weekend, May 2-3, 2014, and the Door County Half Marathon. Be one of the first 20 people to book rooms for the weekend and select the room of your choice for $80. That’s $10 off the regular rate. If you’re planning to visit a little later in the month, be one of the first 45 reservations for anytime during the May 9-31 period (excluding the Memorial Day weekend) and receive a free Ephraim Shores coffee mug when you check in. May is a great time to book an Ephraim motel room prior to the busy summer season. Use our online reservation system to book your room at http://ephraimshores.com/.